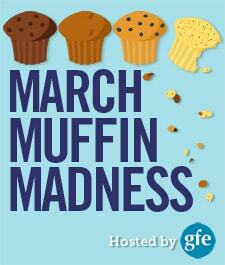 March Muffin Madness (MMM) continues on today with Paleo Mini Muffins for Kids. But let me be clear, “kids” of all ages will enjoy this recipe! These Paleo Mini Muffins for Kids are free of the top 8 allergens. Paleo recipes are always wheat free (and gluten free), peanut free, and soy free, of course, and most muffin recipes would be fish and shellfish free by default, but many paleo muffin recipes do contain eggs and tree nuts. Not this one. It also happens to be vegan, which makes it the perfect gluten-free muffin choice for many of you reading. 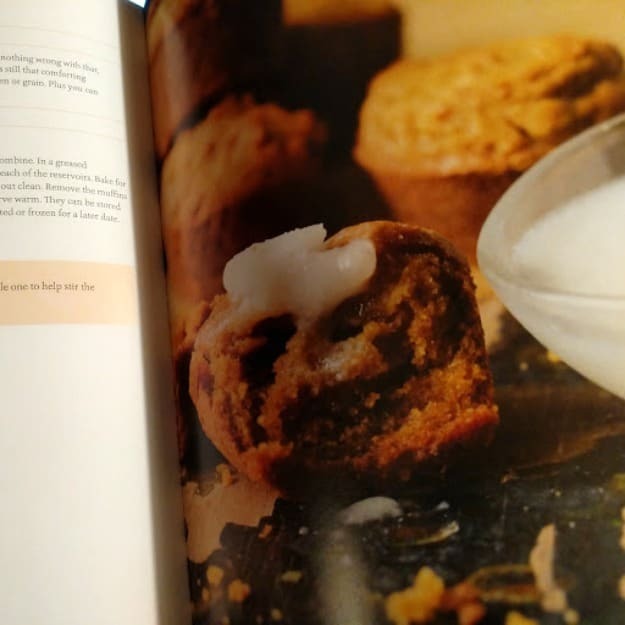 My friend Jennifer Robins created today’s muffin recipe for her third cookbook, which features kid-friendly recipes, The Paleo Kids Cookbook. Subtitled “Transition Your Family to Delicious Grain- and Gluten-Free Food for a Lifetime of Healthy Eating,” you’ll find recipes in this cookbook that will make everyone in the family happy. 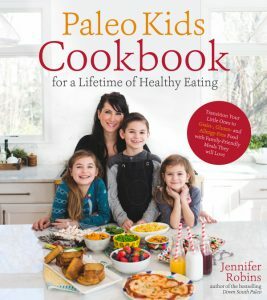 I’ve previously shared my review of The Paleo Kids Cookbook and two terrific recipes from it: Sweet Potato Bacon Tots and Paleo Pigs in a Blanket. Jennifer seems to be everywhere doing everything these days. She has three other best-selling paleo cookbooks (Down South Paleo; The New Yiddish Kitchen, which was co-written with Simone Miller; and Paleo Cooking in the Instant Pot) and her fifth cookbook, Affordable Paleo Cooking in Your Instant Pot, will be released in September. Five cookbooks in 3 years! As one gluten-free blogger friend said when I served Legit Bread to her, “this bread is as good or better than any gluten-free grain-containing bread I’ve eaten!” Yes, yes, it is. The recipe for Jennifer’s Legit Bread was on her site before she started her company. While it’s not there any longer, it is in The Paleo Kids Cookbook! And the bagel recipe? It’s in The New Yiddish Kitchen. So, if you have Jennifer’s cookbooks, you can make these recipes from scratch every time but the ready-made bread and the mixes are really terrific—and I say that as a non-mix person, in general. I don’t know how Jennifer does all that she does but it’s all good for the gluten-free and paleo community, believe me! “Let’s be really honest for a second here. Kids love carbs. Heck, grown adults love carbs. And there’s nothing wrong with that but there are not-so-great-for-you carbs and then there are better choices. This is a better choice! 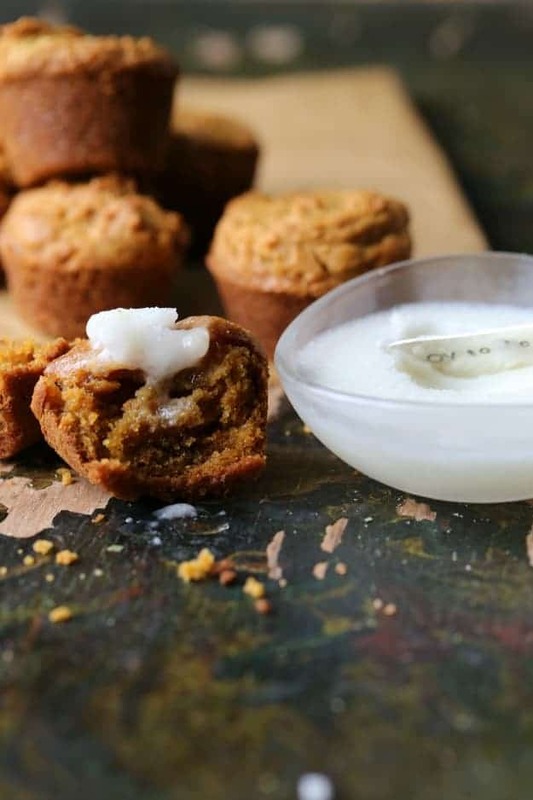 In a greased mini muffin tin, spoon about 1 tablespoon of batter into each of the reservoirs. Bake for 15 to 20 minutes or until an inserted toothpick comes out clean. Remove the muffins from the oven, allow them to cool slightly and then serve warm. They can be stored at room temperature in an airtight container, refrigerated or frozen for a later date. Makes about 13 mini muffins. If you do tolerate nuts, you can substitute cashew butter for the sunflower seed butter if you wish. For little hands: Allow your little one to help stir the ingredients and fill the mini muffin tin. Reprinted with permission from Jennifer Robins and Page Street Publishing. Take a look on Amazon (I recommend using the “Look Inside” feature on the left side of the book’s Amazon page) or read my earlier review to learn more about this book. This is an impressive cookbook, garnering a 5-star rating on Amazon since its release date almost 2 years ago. As I already mentioned there are bagels—several amazing versions—latkes, rugelach, apple ring fritters, chocolate donuts, chocolate chip mandlebrot, challah, marble rye bread, and so much more. Originally published March 26, 2018; updated October 29, 2018. I’d love to win the legit mixes. I’ve heard great things about them. I would love to try any of these items. Love to bake GF!! On the mini muffin…. you have 1 tsp of baking soda on there twice. Is that a typo or should there something else in its place? Hi Regina–First, welcome to gfe! Second, yikes! That was a typo! I added that second one thinking the baking soda had been left out because the ordering of the ingredients in the recipe I was provided was slightly different than that in the cookbook I was looking at. I should have re-read–and counted—the ingredients! Thanks so much for pointing out my error. The recipe is fixed now. Enjoy! Thanks Shirley for responding and giving me the correct information. I can not wait to make them! Have a blessed day! Would love the cookbooks. The muffins look delicious. I’d love to try the mixes. I’ve heard great things about them! Both please. My son says the cookbooks and I would like to try the mixes, so you pick. 🙂 Thank you! I have been really wanting to try the mixes and check her kids cookbook out!! She has some really great stuff!! The muffins look fabu too! Simple and wholesome…will definitely try them! Can’t wait to try these! I would love the kids cookbook to use with my kids! Would love my kids to realize there are healthy options that are tasty! It’s a battle. I have not tried Legit as of yet but I want to. 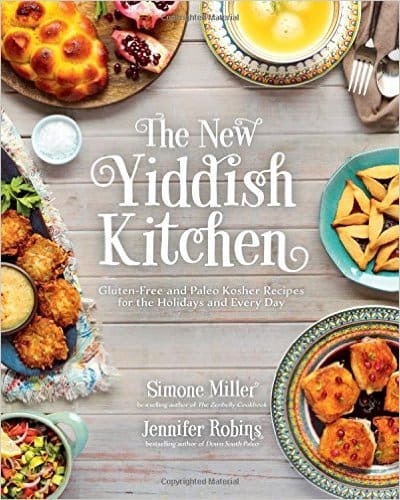 I’ve never tried the mixes but the Yiddish kitchen book looks great! I would live to win The New Yiddish Kitchen cookbook so I could make gf goodies I haven’t had in a while. I would love to try those Legit mixes! A muffin recipe my egg free dairy free but free son can have!!! Yeah!!!! I’ll be making these for sure! I’d like the kids cookbook if I win!! Thank you Shirley! This MMM is so much fun! I would love one of the cookbooks! I always love cookbooks, but the mixes look good to try also. These look so easy to make! New muffins to try with my boys, the mixes are new to me, would also like to win something from the MMM! Wow what a fantastic giveaway!! It is too hard to choose with all that goodness. But I have been craving pancakes lately!!! I would love to win The New Yiddish Kitchen. how have I missed this cookbook? I have a lot of Kosher clients and I wasn’t aware there was a kosher paleo book out. Really appreciate the heads up on this one! I’m thinking I can make this recipe AIP by substituting coconut butter for sunflower butter. Would love to reintroduce sunflower seeds and butter hopefully. I have the Paleo KIDs cookbook but not the Yiddish Kitchen cookbook! Feeling like a big hungry kid right now! Appreciative of the extra chance to win the Blendtec. The muffins look yum and so healthy! I’ll make them for children! I’d love The New Yiddish Kitchen! Can’t wait to try these. I think they would be great in a lunch box too! They would make the perfect healthy, nut free lunchbox treat. I would love to try the baking mixes! 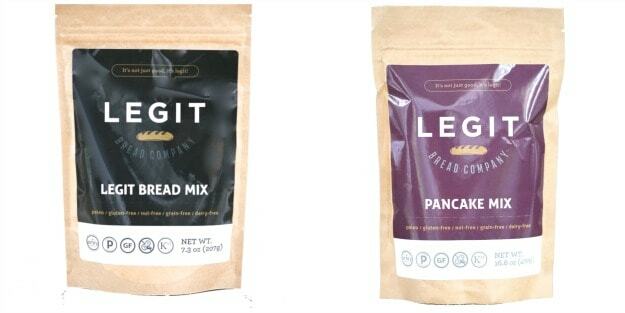 I’d love to win either of the mixes but it would be great to get the pancake mix if I had to choose. I love gf pancakes. I’d love to win this so I have more traditional r cipes to serve during the holidays. 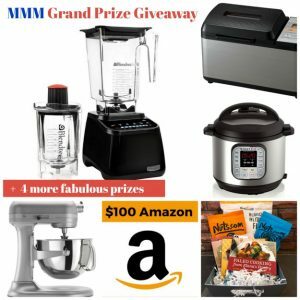 I would be so excited to win any of the prizes being offered – the cookbooks seem amazing and the Legit Mixes seem wonderful too! What a great prize package being offered!